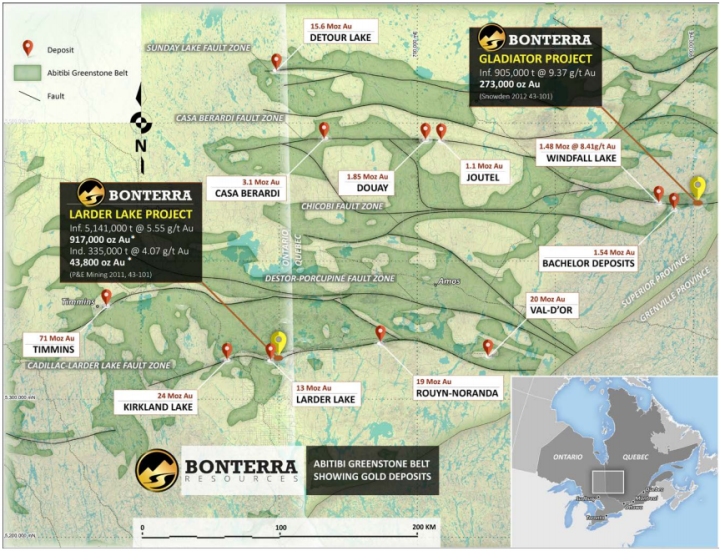 BTR's 8,126 hectare Gladiator Project is in the Urban-Barry Greenstone Belt, 170km NE of Val-d'Or Quebec. Its three main Properties are West Arena, East Arena, and Coliseum. Inferred resources so far are 905,000 tonnes grading 9.37g/t Au for 273,000 ounces of gold. Eight grams is higher grade than 90% of mines globally. BTR just needs to step out and drill a bigger, higher category deposit. March 21 news shows more near surface high-grade with 5.0m at 23.6g/t Au and 6.0m at 41.01g/t Au. So, are you a rational informed investor who positions to win, or an emotional blind speculator who wonders what went wrong? Either way you're invited to sign-up at our site to get all of our free e-newsletters.